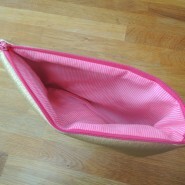 Preparing our daughter’s 14th birthday party I was looking for a “girly” idea to offer the giveaways in. 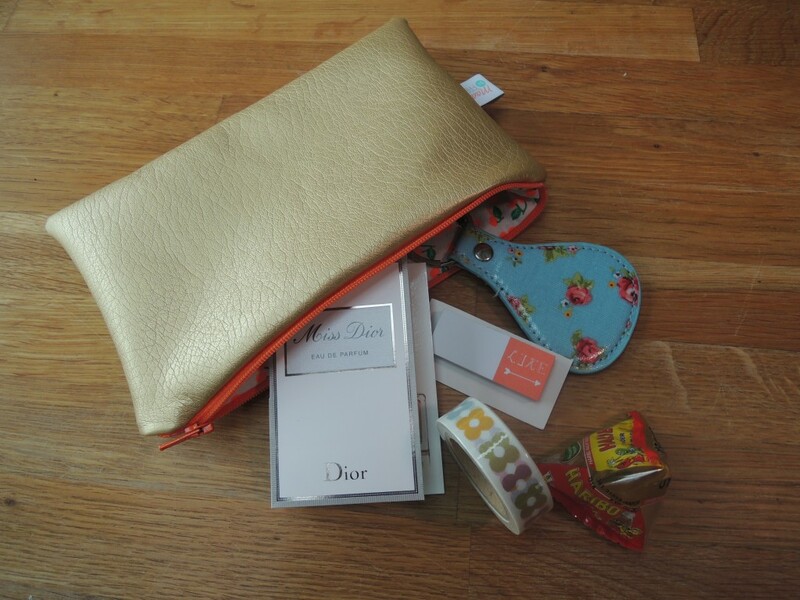 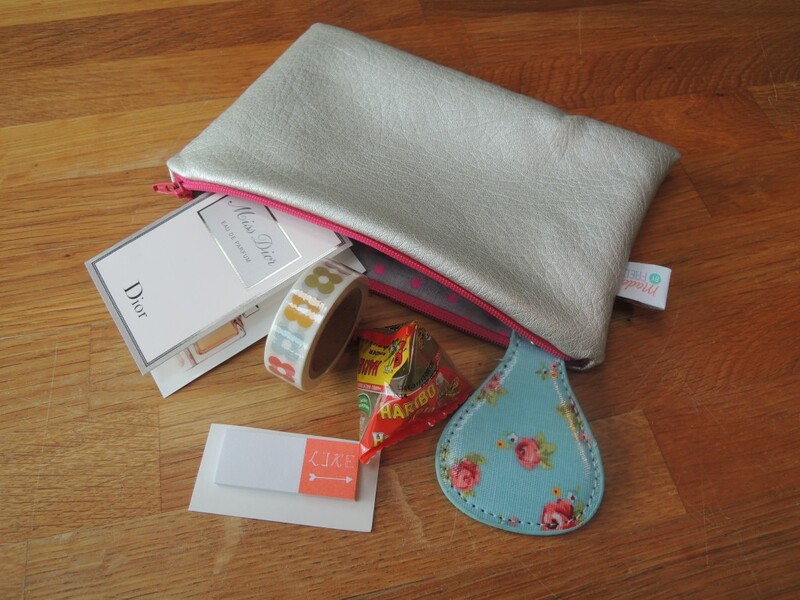 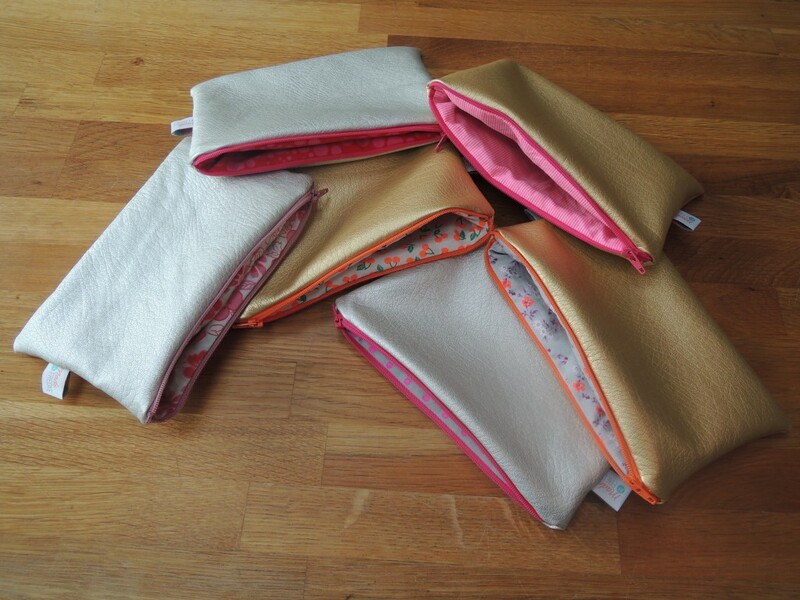 After rummaging in my fabric stock, I found some leatherette rests in silver and gold and I had the idea to sew each one of the girls a glamorous pouch to stock her cosmetic articles in it. 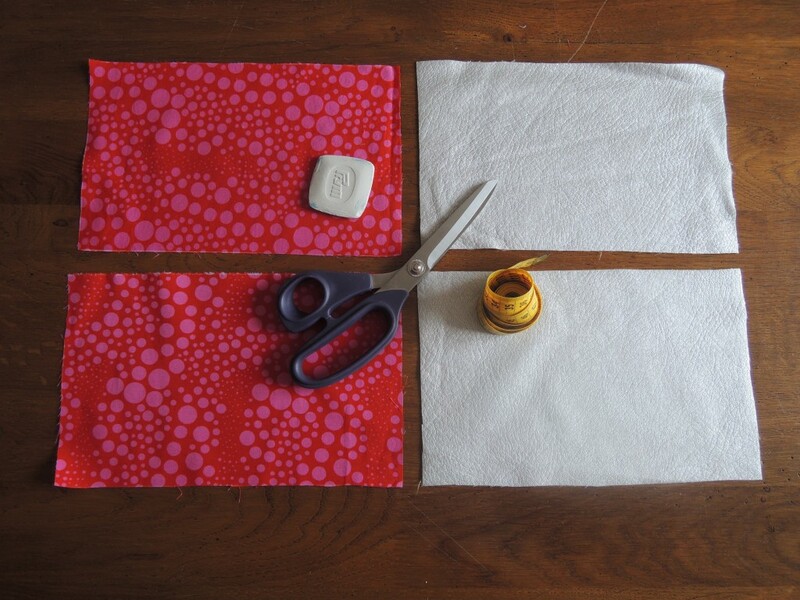 It’s easy to sew and you can use your fabric rests for this. 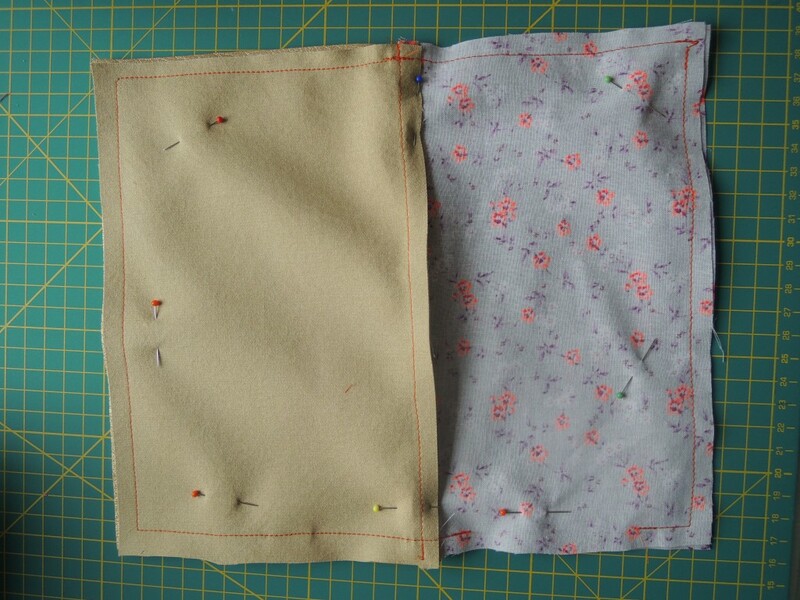 First cut out 2 rectangles of 15 cm x 22 cm of each fabric, using ruler, white chalk and scissors. 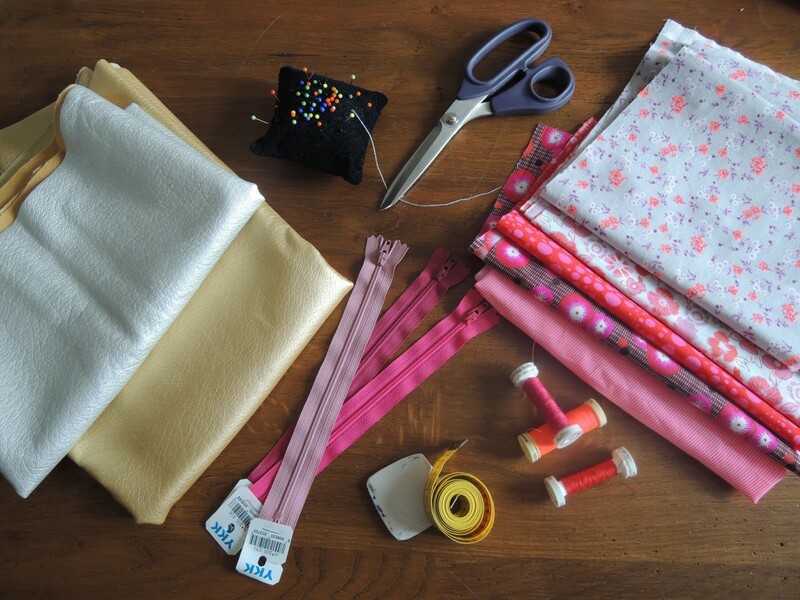 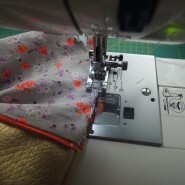 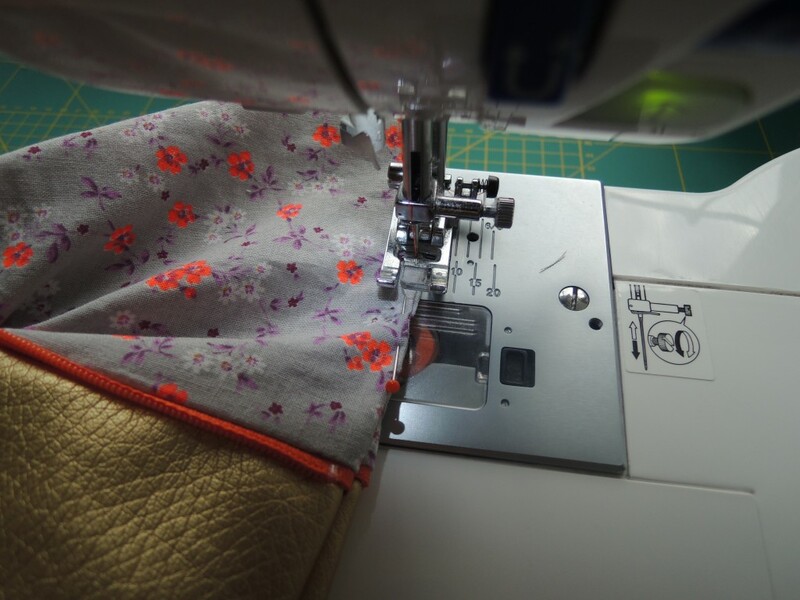 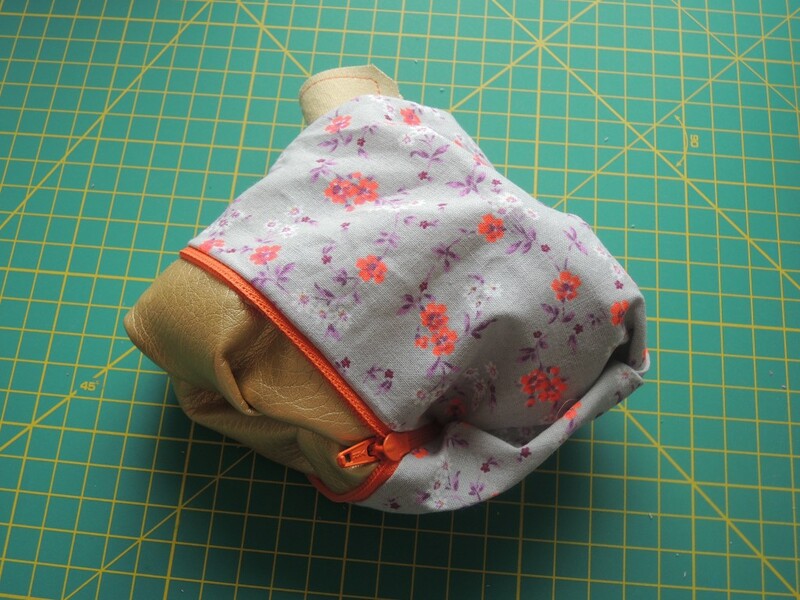 …before sewing the zipper, using the special zipper presser foot if you have one. 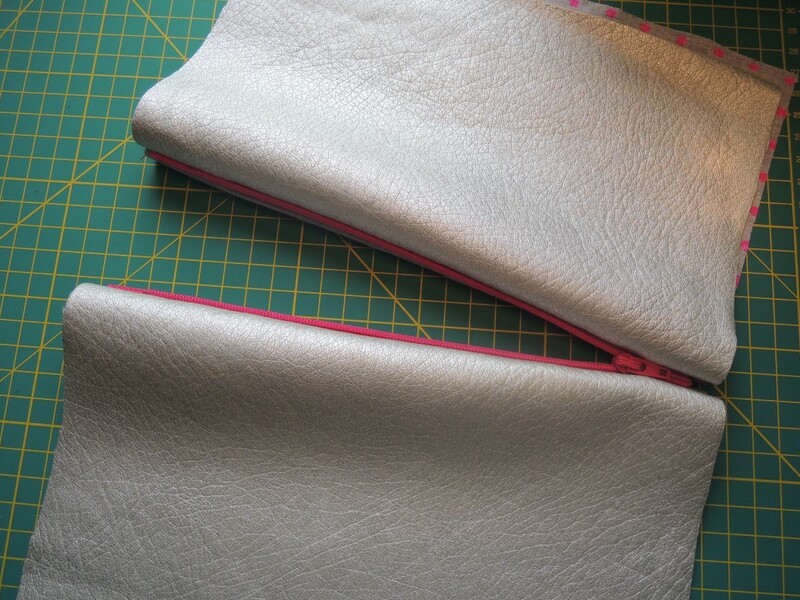 Now take the outer fabric and pin the good side of the zipper to the good side of the leatherette, then sew them together. 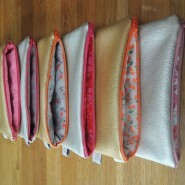 Now repeat the whole with the second side of the pouch. 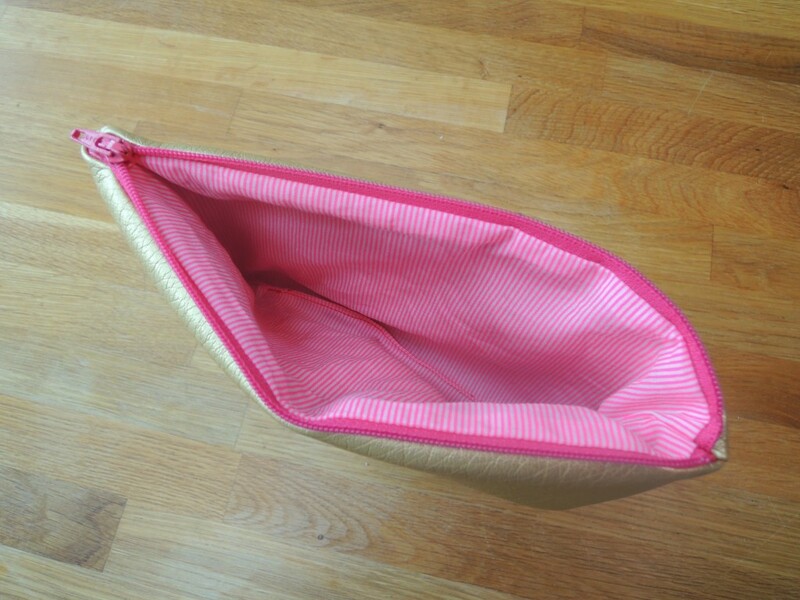 You have the different parts put together with the zipper. 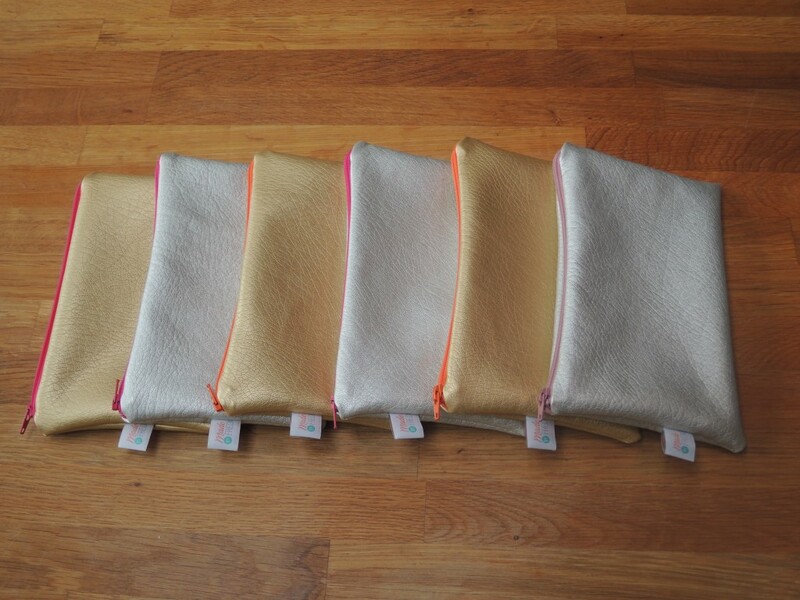 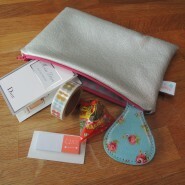 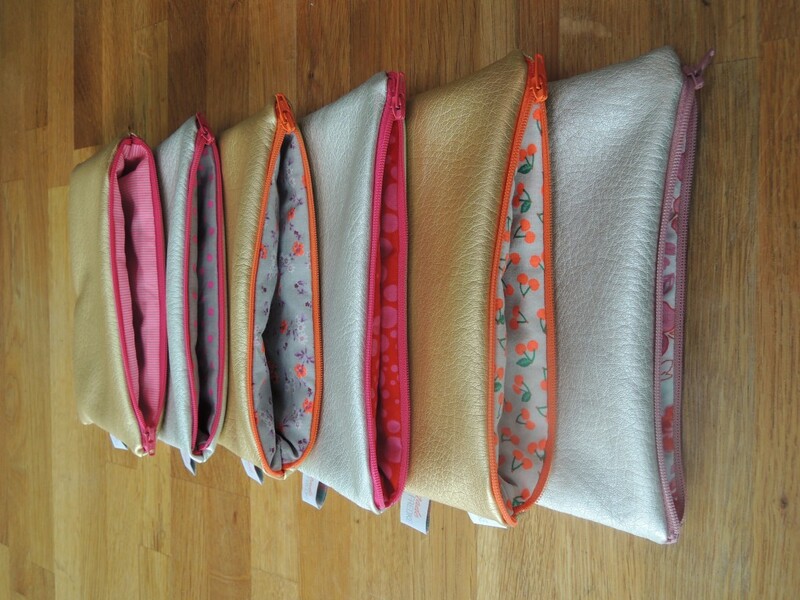 It’s now time to sew the pouch itself together. 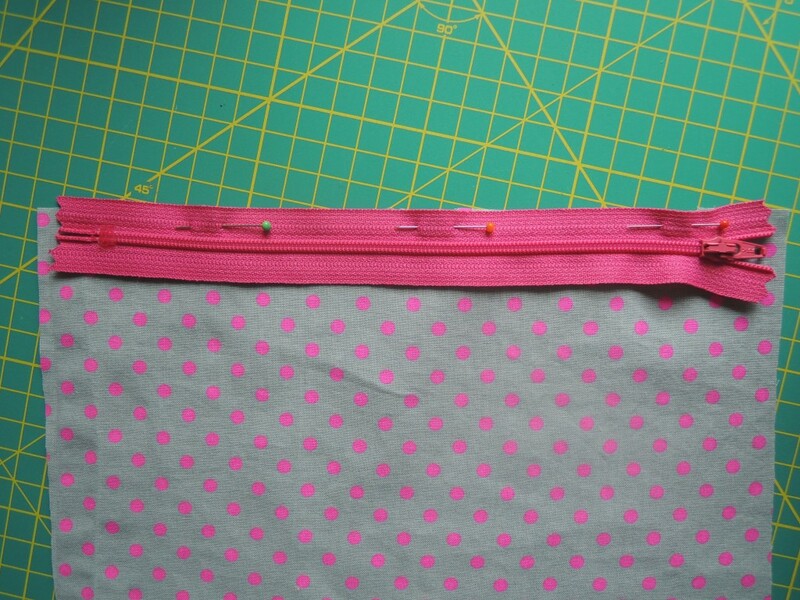 So put the right sides of the outer fabric together, pin them. 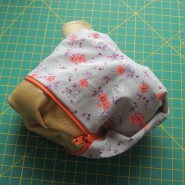 Repeat the same with the inner lining. 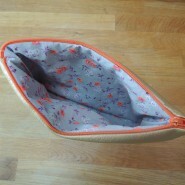 Then sew around the whole pouch (it does look like a big rectangle) with leaving ca. 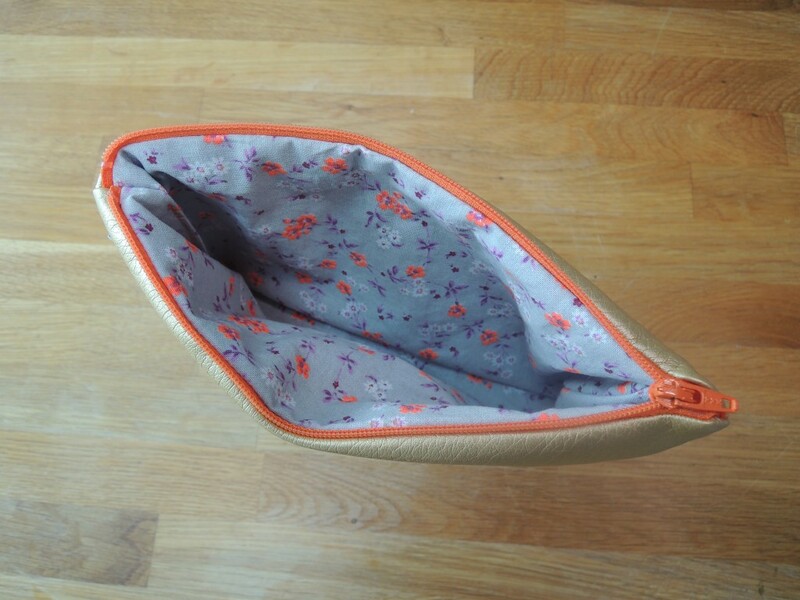 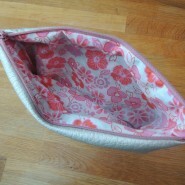 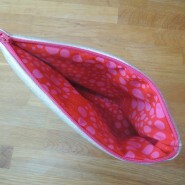 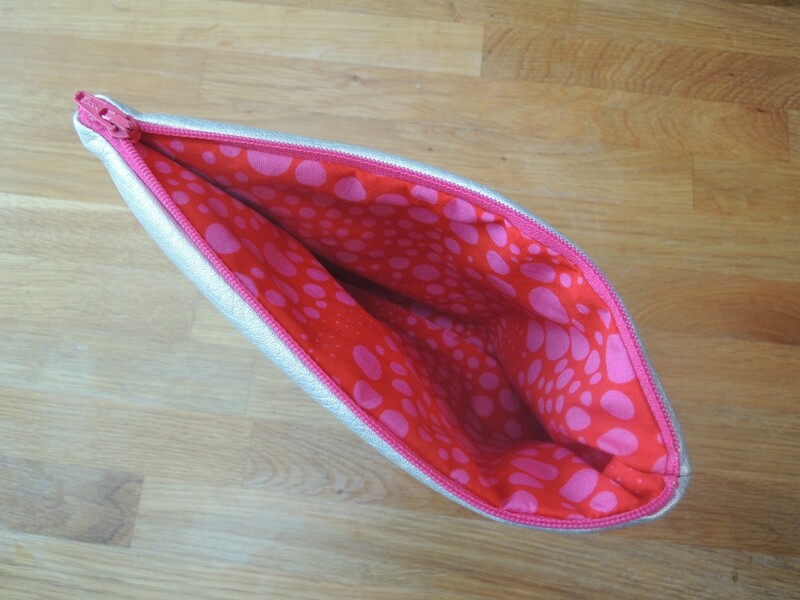 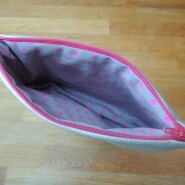 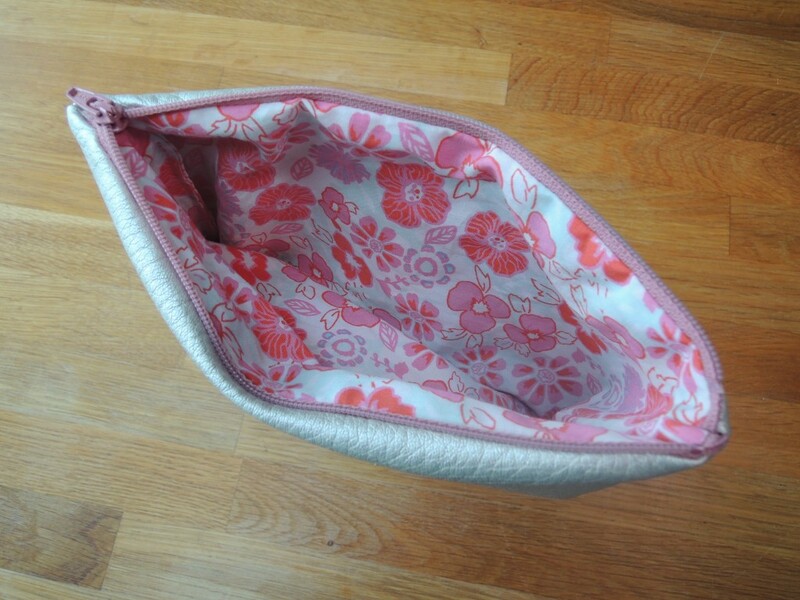 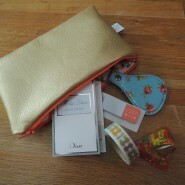 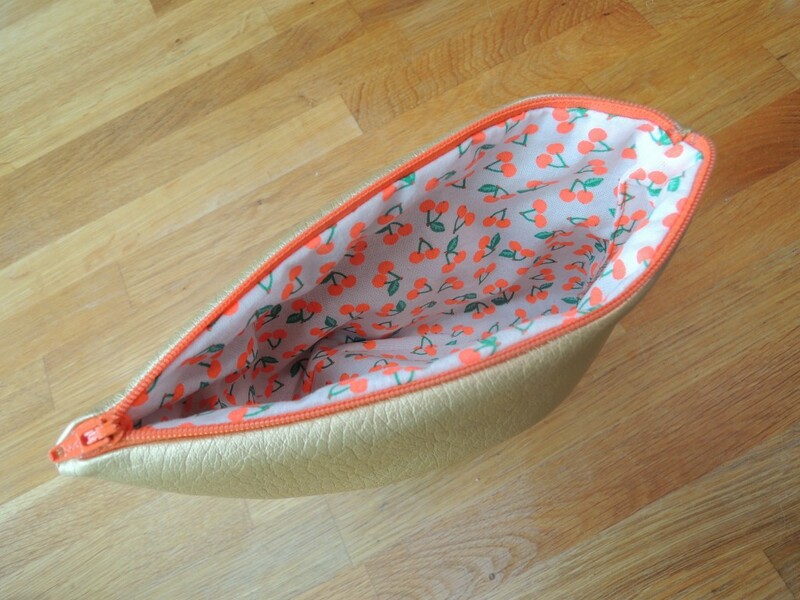 5 to 7 cm open (leave the zipper also open by some cm), this will help you when turning inside out the pouch at the end. 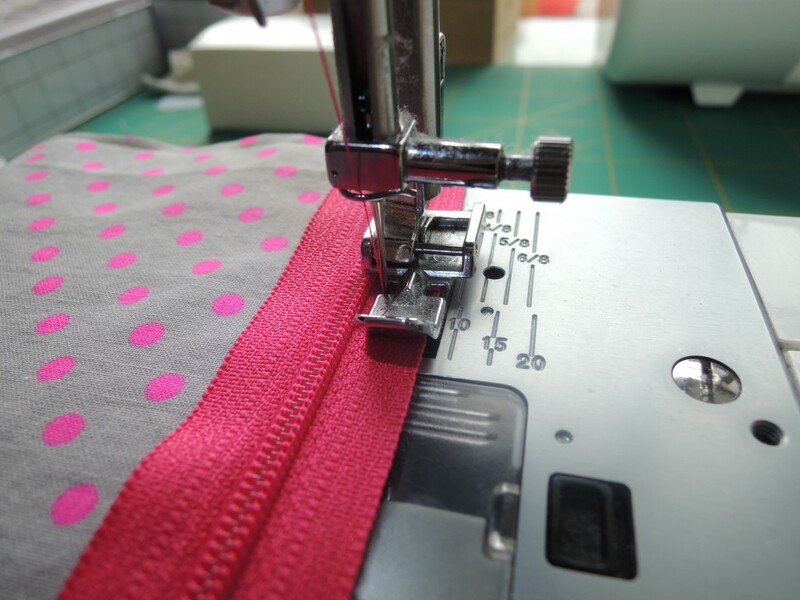 If you have a label, it’s the moment to put it in between the good sides of the outer fabric. 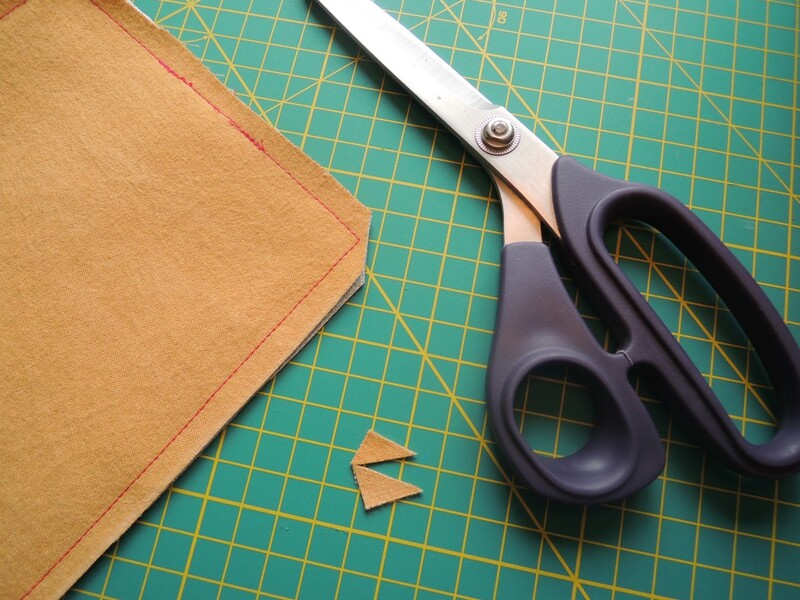 You can cut the edges away; this will make come out the edges better when you turn the pouch around. 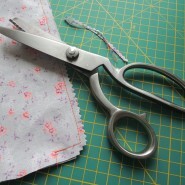 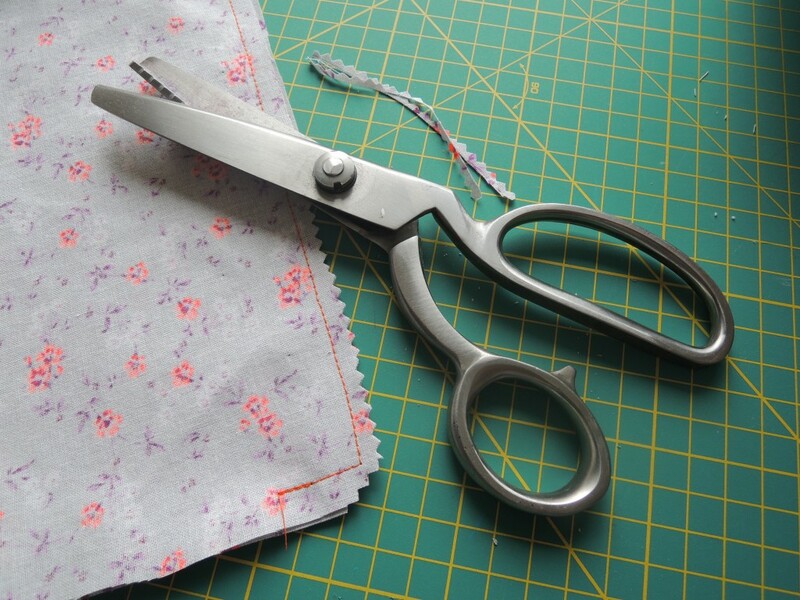 You can even neaten the fabric either with a zig zag stitch or with a pair of zig zag scissors. 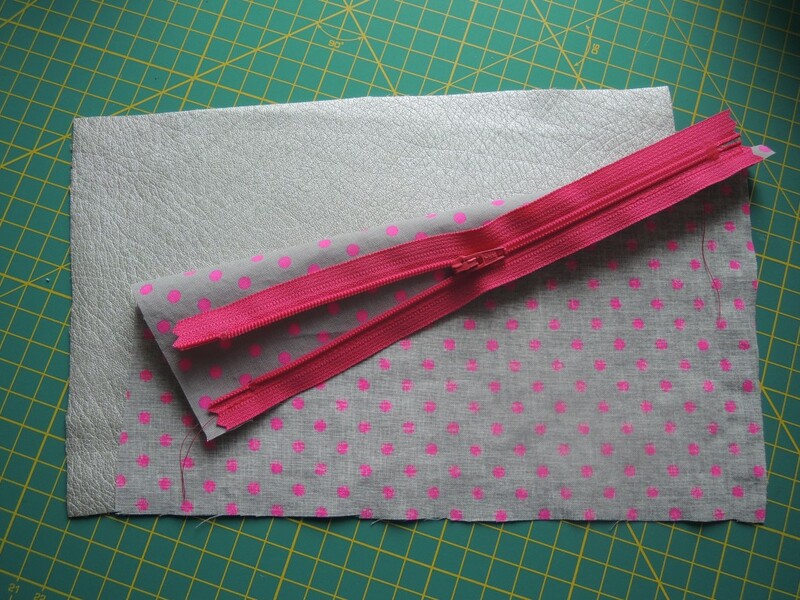 This will prevent your fabric to snag easily. 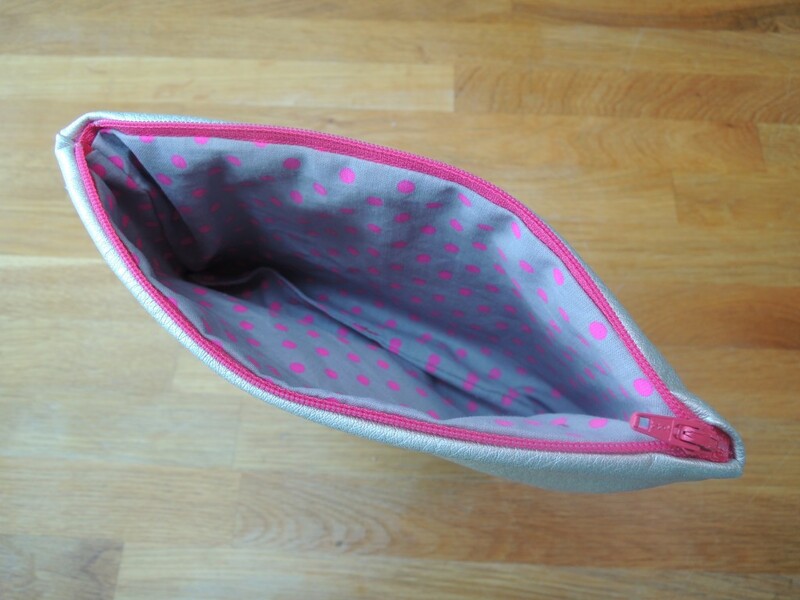 Now turn the pouch inside out before closing the small hole. 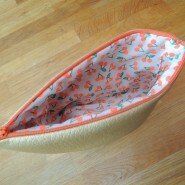 And your little cosmetic bag is finished!